We have been in business for more than 30 years and are well known for our superior quality work and attention to details. 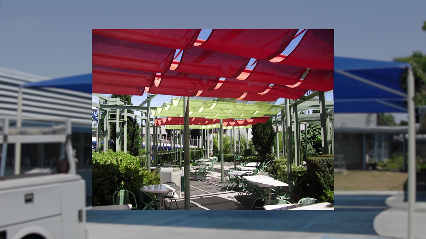 Ortega's Canvas was recently purchased by Stark Mfg Co., another local awning company that has proudly served San Diego County for over 60 years. Take a look around our website to see some of the work we have done and let us know if you have any questions. We are committed to providing you with a high quality product that will last, and our team is always at your service!